Our love for Gravity Forms(aff) continues. Yes it costs money. And yes, its worth it. This time it’s because of how we integrated Gravity Forms with Salesforce. Goal: Capture leads from the website, including the Adwords and Google Analytics parameters, and pass them to Salesforce. 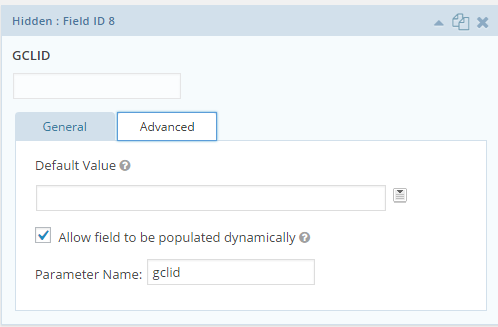 Install the Gravity Forms for Salesforce Addon Plugin. This is not an official Gravity Forms plugin, and doesn’t have much support, and isn’t actively updated, but… it works, at least for now. Install the Gravity Forms Prepopulate plugin. Also, not an official Gravity Forms plugin, but it’s so simple and works beautifully. 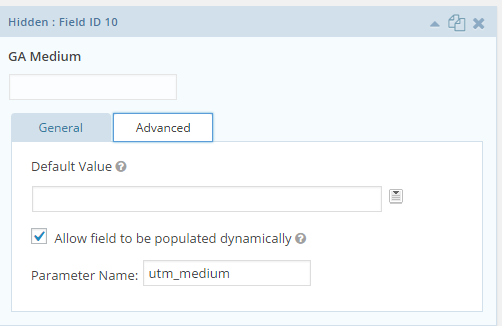 Create hidden fields in Gravity Forms for each parameter you need, such as: utm_source,utm_campaign,utm_medium,utm_term,utm_content, and gclid. Click on the Advanced tab, and check the box for “Allow field to be populated dynamically”. The hidden field works great if someone goes to a direct link with all the parameters and fills in a form. But if a user goes to another page on the site and then comes back and fills in the form, then we’ve lost all the data. Therefore, we need to save the parameters with a cookie. That’s where the fabulous Gravity Forms Populate plugin comes into play. Go to the plugin settings and enter the parameters. Now that we have all the info to send, we need to set up the Salesforce plugin and pass the lead info to Salesforce. Make sure to use the API and not the Web to Lead. Web to Lead didn’t work with custom fields. Select what Object you want to use. We used Lead. Select the form to integrate with. Fill out the form and check in Salesforce to see if the info is there! Rebecca Markowitz has built over 100 WordPress sites for clients as Web Project Manager and WordPress specialist at illuminea. illuminea is a Jerusalem-based boutique web agency. WPGarage shows my dedicated relationship with WordPress over the years - full of love, laughs, tears, growth and strong drinks. L'chaim! I work for a non-profit, and we recently installed Gravity Forms to help with grant management. We worked with a consultant to map a grant reporting form from WordPress into a custom object in SalesForce. Works beautifully. I was able to replicate the process for Grant Applications (creating a custom object, and mapping the fields from a WordPress form), BUT the information isn’t transferring. Any thoughts on what the issue could be? Trying to avoid paying $200/hr to figure this out. Thanks! Hi Kyleen, which information isn’t transferring? Was it working initially? None of the information in the set up I created is transferring. I’m also not getting any error message/email. Based on instructions provided by the consultant and information I’ve read online, everything looks like it is set up correctly….it’s just not firing. Kyleen, I’m sorry – it’s so hard for me to troubleshoot without logging into everything and seeing how it’s all set up. No worries! figured it was worth asking. Thanks!